Turns out it was not – he was commenting about something that happened to another modeller he knows – but it sure sounded familiar. It hasn’t happened to me a lot – perhaps because I blather on at length about why I’m doing things the way I am – but like the subject of Mike’s post, I have had a couple of readers get in touch to warn me that my layout is going to end in nothing but heartbreak, because I haven’t included enough spurs and industries to provide entertaining operation. Advice can be very valuable, when the giver takes the time to understand and respect the choices being made by the receiver. I do find it curious that so many people in the hobby – at least in North America – continue to promote the idea of a large, multi-deck, basement-filling empire not only as the best choice, but sometimes even as the only real goal anybody should strive to attain. 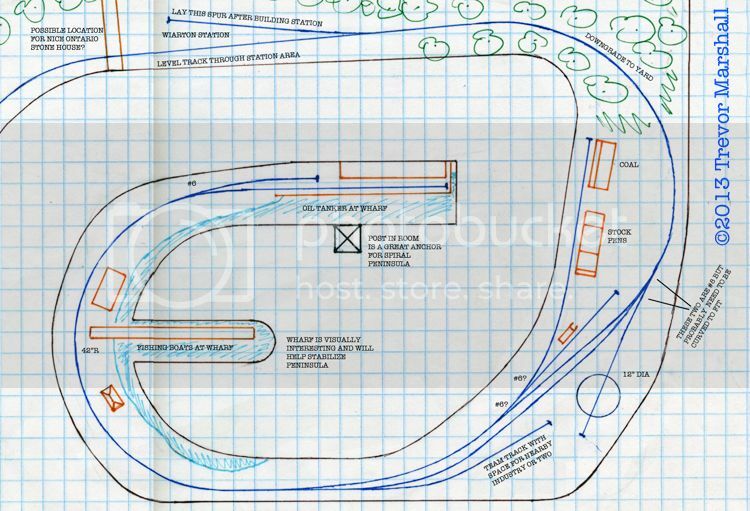 To those with the time, money, lifestyle and enthusiasm to tackle a club layout, I say, “Good luck – fill yer boots!” At the same time, I hope hobbyists in the mega-layout camp recognize this is not the route for everyone. For me, for now, I’m happy trying to do something modest – a very small section of the sleepy branch line to Port Rowan, Ontario – but do it to the best of my abilities. I will never convince those who worry that my Port Rowan layout will end up in the dumpster due to lack of interest that I’m happy with my layout design. And frankly, if it ends up in the dumpster, So What? It’s happened to layouts I’ve built in the past – and it may happen again. I can’t say. Right now I love what I’m doing but I can’t predict the future as it pertains to my interests in the hobby. Few people can. And nobody – myself included – can predict the things that happen in life that are beyond one’s control, that may influence or even dictate one’s hobby choices. But I’m not worried about any of that. It’s a hobby – one I care about a lot, but that doesn’t change the fact that I’m not building fire-fighting equipment or a space shuttle: If I get it “wrong”, nobody dies. And for me, the journey is as important as the result. Mike – a really thoughtful post. Thanks for writing it. And to my readers, give Mike’s post a read – and then remember to do what you find most satisfying in the hobby, regardless of what the rest of us advise! I had a lot of positive response to my write-up on the Sacramento Northern as the subject for an achievable layout (thank you! ), so I thought I’d offer another interurban theme – this time, from the opposite corner of the United States. 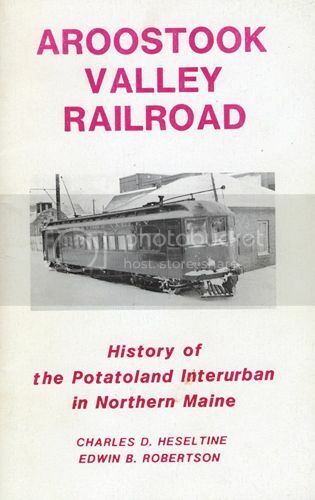 The Aroostook Valley Railroad was a small interurban system in Northeast Maine. It ran northwest from Presque Isle to Washburn and then north to Carson, where a junction carried the line north to Sweden and east to Caribou. More history on the AVR can be found on the Presque Isle Historical Society website and on the Maine Memory Network website. The AVR offered passenger service, with a mix of combines from Brill and Wason providing six round-trips per day (four between Presque Isle and Caribou, and two between Presque Isle and Sweden). But what makes the AVR interesting from a modelling perspective is that it was the only interurban in Maine to run freight trains. A since train per day – powered by either a 40-Ton GE Steeple Cab or a 60-Ton Baldwin Westinghouse box cab – served potato warehouses and other online customers. Outbound loads included potatoes (lots of potatoes), lumber, starch and hay. Inbound loads included fertilizer, grain, flour, coal and other general supplies for life in the area. Freight traffic would allow the AVR to survive beyond the Interurban Era. The AVR ran freight under wire until 1945, when the railroad acquired a pair of GE 44-Tonners finished in an attractive blue and yellow scheme. Passenger service ended the following year, but freight service continued into the mid-1990s. 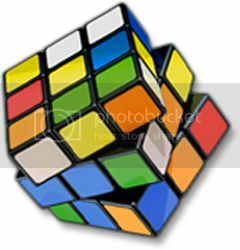 Unfortunately, I do not have a lot of information about customers in the modern era. Parts of the line are now a recreation trail. While the AVR is a small railroad – at 32 miles, it could be modelled in its entirety – I feel the most interesting portion of the line is in Presque Isle itself. This was the last area to remain in business, interchanging with the Bangor and Aroostook and the Canadian Pacific, and serving customers of the Skyway Industrial Park – a former airbase that was converted to civilian use after the Second World War. I have not drawn up a complete layout plan for Presque Isle, but have drawn four key areas – the Yard, the Industrial Park, the Junction and the Interchange. Unfortunately, I don’t have accurate track maps from which to work – I interpreted the track arrangements from rough drawings and photographs in Aroostook Valley Railroad – History of the Potatoland Interurban in Northern Maine by Charles Heseltine and Edwin Robertson – so my drawings, while close, may contain inaccuracies and are not to scale. At the bottom of the map, the Bangor and Aroostook line meets the AVR at the passenger station in Presque Isle – it then continues east (to the right) to the modern era interchange yard. The AVR curves way from the BAR, across a bridge spanning the Presque Isle Stream, and then into the yard. This portion of the line was removed after passenger service ended. I’m not confident of the run-around track in the yard, but one is needed on a model to work the spurs, which face opposite directions. The narrow building to the left of the siding is a combination freight house and dispatcher’s office, while a two-stall carbarn sits to the right of the main. I’m not certain about the online customers – but potato houses would be a good guess since many of the photos of this area taken when the AVR still operated under wire show crews switching refrigerator cars. The industrial park was a former airbase, converted to civilian use after the Second World War. It became the main source of freight traffic for the line, although I’m not sure what customers were located there. A few spurs should do the trick to serve them – think of this area as multi-track team track, with assigned spots for each customer, and there will be plenty of switching to keep one busy. Here, I’ve moved a short passing siding from further up the line, so that those interested in the more modern era have an opportunity to model a shelter (disused, of course) to help convey the line’s heritage. The main continues to Washburn – site of the original BAR interchange – and then beyond to Caribou and Sweden. In later years, this was cut back and became a long tail track that was used for equipment storage. Here, the AVR ducks under the BAR to a simple yard where it interchanges traffic with the BAR and CP Rail. A line drops down from the BAR mainline to reach the yard. (Note that the BAR continues west (to the left) to the station area.) The CP connection is at the east end of the yard. The connecting tracks for the interchange partners would be a great place to display foreign road power. Since the AVR was built to interurban standards, a layout could take advantage of this by incorporating short passing sidings and relatively sharp curves and switches. The interchange would be a place to include broader curves and larger switches, though, as befitting the full-size railroads that connected with the Potatoland Interurban. I hope readers enjoyed this somewhat sketchy tour of a favourite prototype of mine. If anybody reading this has additional information or clarifications, please share via the “comments” feature. Thanks in advance! I’ve written about this before. 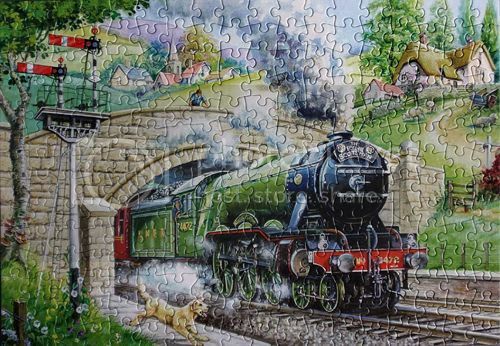 The Time Saver is a venerable and well-loved railway switching puzzle invented by one of the pioneers of the hobby, John Allen. As hobbyists, we owe a lot to John, who published many articles and in the process opened people’s eyes to the possibility that a model railroad could actually have things like, oh, extensive scenery and something approaching realistic operations. These are things we take for granted today – but they were radical ideas in an era when a model railroad was essentially a bigger version of a train set. 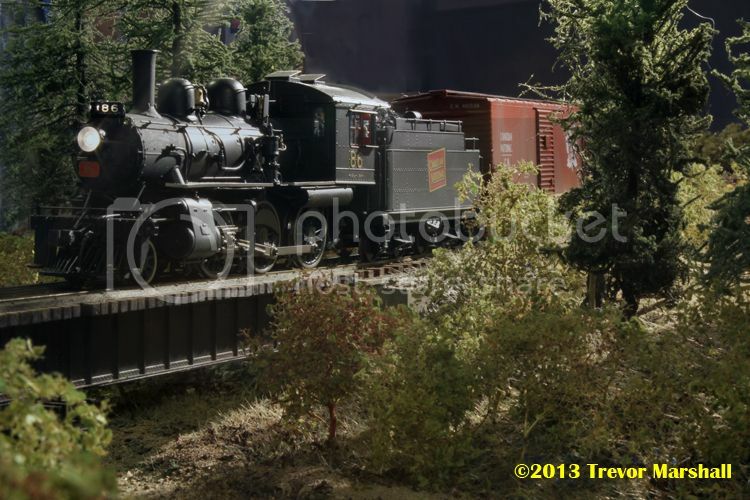 Second, Greg Amer has a blog called The Industrial Lead on which he is describing his plans for a switching layout based on the industries he works as a professional railroader. Third, another professional railroader – Jack Hill – was writing a great blog about his New Castle Industrial Railroad. Here, he documented his O scale switching layout. Unfortunately, Jack stopped blogging in January 2011. I have never figured out why. Fortunately, his blog is still active. First, I appreciate the beauty of simple designs. Most layouts I see in magazines, online or in person are over-designed for the needs of the builder. On most of these, about half of the track could be removed without affecting the entertainment value of the layout. Second, I appreciate the elegance of prototype track arrangements. A layout designed from a prototype track map rarely looks like – or operates like – a typical model railroad. On this blog, I am offering up layout designs or prototype ideas that – I hope – embody these two principles. I call them Achievable Layouts. These layout ideas are, admittedly, all bigger than a Time Saver – but not necessarily more complex to build. And I know they will be much more satisfying in the long term. Last year, a friend asked me for some help with a design for an S scale CNR layout. I always like to design layouts – even freelanced ones – from prototypes, following the Layout Design Element principle that if it worked for the real railroad it must work in model form (we just need to figure out how it was used). So I turned to Ian Wilson‘s various books on CNR lines in Ontario and one of the LDEs I picked for this layout design was the small waterside terminal at Wiarton. Ian writes about Wiarton in Steam Over Palmerston and the book includes a track map – really useful when designing a layout! The railway at Wiarton is confined to a long, narrow strip of land along Colpoy’s Bay – perfect for a long, narrow section of benchwork. That said, it’s a pretty long yard – especially in a larger scale such as 1:64. But I was able to work Wiarton into my friend’s layout space by wrapping the terminal into a spiral. I’m quite pleased with how the design turned out. 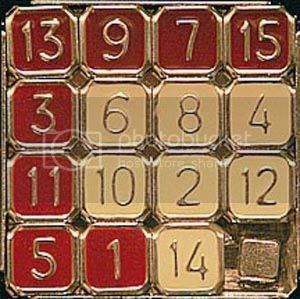 – Unless noted, minimum radius is 48 inches and switches are Number 8s. This will accommodate my friend’s stable of CNR steam power – up to 4-6-2s and 2-8-2s – as well as full-length passenger cars. That said, photos in Ian’s book show this to be the land of Moguls and 10-Wheelers. – The wharf area has a 42 inch radius curve, but this area will be switched by smaller steam power shoving a couple of freight cars at a time. I use 42″ radius curves on my layout and the 2-6-0s and 4-6-0s I run have no complaints. Customers here include the British American Oil Company (at the end of the spur), Wiarton Fish and Ice, and McNamara Construction. Other structures along the spur would include a boat repair shed, plus several tool and oil sheds. – The post in the room is, well, unfortunate, but it does provide a solid place to anchor the far end of the peninsula. The fishing boat wharf will be a nice scenic element but will also help with stability for this long, narrow section of layout. – If one is really pressed for space, a sector plate-style staging area could be built running up the left side of this plan, and Wiarton would work really well as a self-contained terminal-to-staging style layout. – The terminal would require a variety of freight cars – from boxcars and stock cars, to coal hoppers and tank cars, to refrigerator cars for fish caught in Georgian Bay. At a minimum, a combine would take care of passenger equipment although Ian’s book includes photos of trains ranging from a single combine to a coach or combine plus baggage car. – There’s a team track next to the turntable. Nearby structures/industries which could be moved closer to this track (but not adjacent to it – no point in losing the flexibility of the team track) include the Wiarton Co-op, a feed mill, a wood-working shop, and a power station. As with the wharf area, several sheds and storage buildings are not shown on the layout plan. – There’s a section house located up-line from the station. It could be moved to the long curve between station and yard area, to add another railroad-y structure. – The station should actually be closer to the yard, but that 48″ radius curve to get onto the spiral peninsula sure eats up space. If one is uncurling the plan, move the station closer. – I have drawn some trees along the curve between station and yard. This is because we needed a soft screen to separate Wiarton from another scene on my friend’s layout. If being built as a stand-alone layout then I would scenic this area like a town park, rather than a forest. Add a band stand or picnic pavilion… walking paths… benches… playground equipment, and plenty of large, healthy trees to provide shade. And then make sure there’s a fence in good repair separating the park from the railway! – According to Ian’s book, two mixed trains ran daily except Sunday. Second Class train M341 arrived at Wiarton at 10:55am and left at 12:25pm as Second Class train M336. 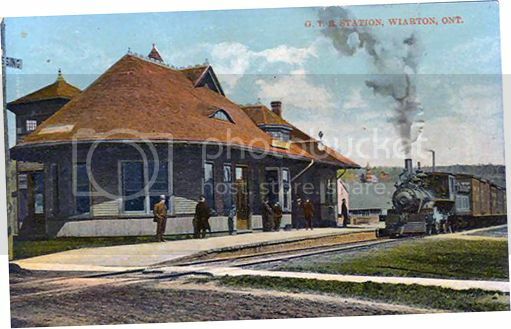 Later, Second Class train M337 arrived at Wiarton at 1:55pm and departed at 2:15pm as Third Class train M338. I’d be tempted to drop the passenger cars at the station for unloading/loading express, while the crew heads into the yard area to do any freight switching. With outbound freight assembled in the yard, I’d then back up to the station to collect the passenger cars, bring them into the yard to build the train, then turn the locomotive and finally pull ahead to the station to load passengers before departing Wiarton for Clavering, Hepworth, Parkhead and beyond. I think this is another excellent example of how one can look to the prototype for an achievable layout in S scale. Even as a stand-alone layout, Wiarton has much to offer. While it won’t support marathon operating sessions (something I no longer enjoy, anyway), there are two mixed trains to operate each day with switching to keep a couple of people entertained for a reasonable length of time. For the craftsman, there are plenty of interesting structures to build, including the beautiful (and, fortunately, preserved!) Wiarton station and the wharves. There’s even space for fishing boats – and an oil tanker. The layout builder could even include Wiarton’s most famous resident!